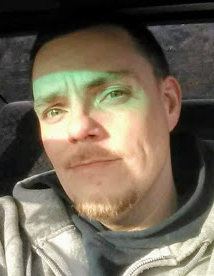 Jeremy Thomas Yocum, 35, of Laconia, died Monday, April 8, 2019, at Jewish Hospital in Louisville, Kentucky. He was born August 14, 1983, in Corydon, Indiana. He was employed at Fred Smith Store Fixtures near Depauw, Indiana and was a member of Grace Tabernacle near Laconia. He was preceded in death by his father, John Yocum. Survivors include his wife, Rebecca A. “GiGi” Young Yocum; his mother, Kate Kost Yocum; his daughter, Kayla Yocum; his step daughters, Susan Luckenbill (Kenny), Rachael Cahill, Faith Orr and Sommer Rhodes; his step sons, Bradley, Dallas, Hunter and Coner Cahill; his brothers, Michael Yocum (Kayla) and Nick Yocum; and his grandchildren, Ysabella, Georgia, Christopher, Patience, Ryder and Autumn. Funeral services will be at 7:00 p.m. Thursday, April 11, 2019, at Beanblossom-Cesar Funeral Home in Corydon. Rev. Greg Carter will officiate. Visitation will be after 3:00 p.m. Thursday at the funeral home. The family requests that expressions of sympathy be made to the Butterfly Transformation House c/o Grace Tabernacle, 8530 South Harrison Park Road SE, Laconia, Indiana 47135.